I wrote this a few months ago to share as a guest post at MoneySavingMom.com. As I prepare to feed my teens and their friends throughout the summer, I thought it would be fun add a little to it and post it here for you! After all, who couldn’t use more ideas about ways to save money on groceries? I just watched my 18-year old son eat an entire pound of strawberries for an afternoon snack. Tonight for dinner my family will plow through three pounds of boneless chicken, three or four pounds of potatoes, a pound of frozen green beans, several handfuls of mixed greens, and a big bowl full of grapes. They’ll be hungry again before bed, no doubt. This is my life. 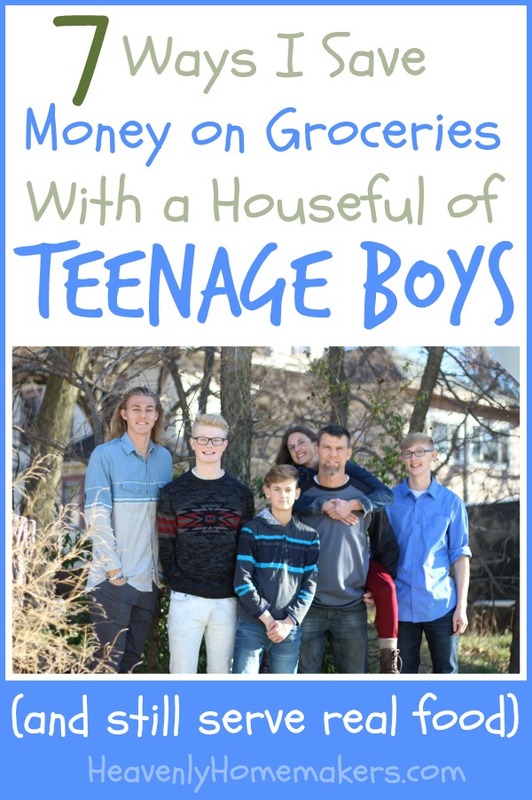 Four sons, all teenagers. My table is full and so is my heart. My grocery budget? Well, it’s not so small either. When our four boys were little, people told me that I’d have to stock up on lots of potatoes, rice, and pasta as they got older so I could afford to feed them. I’ll admit these tricks help the grocery budget somewhat, but I’ll also tell you that I much prefer to fill my family with nourishment instead of empty calories. Our grocery budget isn’t small. It can’t be – not if I want my kids to feel satisfied after a meal and to be filled with nutrients too. 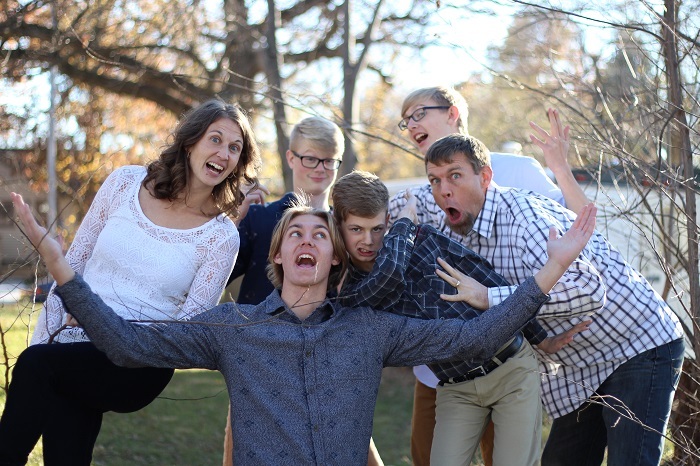 Did I mention all my sons are athletes and three out of four so far are over 6 feet tall? If you’re brave, you can click here to get an idea of how much we spend on groceries for our family every month. You’ll see that I’m certainly not one of the moms who spends”$50 a week to feed my family!” because of the huge appetites at our house and our preference for highly nourishing food. I love reading those mom’s tricks, though, because I always learn new ideas for ways to save. I can’t imagine how much money this saves us (yes I can) and it’s a win-win! It’s healthier and saves money too! Our boys aren’t huge milk drinkers, so I buy one gallon of milk every week from local farmers, which I use for cooking and baking. If the boys want something special to drink, they buy it themselves as a treat. As you can see, the fact that we deprive our kids of fun drinks like juice and soda has left them terribly sulky and despondent. Homemade broth is extremely nourishing, and I’ve found that it really helps stretch the meat in a meal. If I cook a chicken for one meal, then use the bones to make broth for soup, we’re getting a two-for-one! Here are our 12 Favorite Soup Recipes that help stretch our grocery budget. 3. We love meat, but still have meatless meals. We love our cows and chickens (boy do we!) and I’m of the opinion that my active family needs the wholesome protein and nutrients that meat provides. But I’ve learned that we don’t need meat for every single meal. Beans and eggs and nuts and cheese help round out our menus and fill us with protein, and I’ve created many super simple recipes that are painlessly meatless. 4. We eat a lot of frozen veggies, fresh greens, and carrots. It’s extremely important to me that I serve several veggies throughout the day. I keep frozen peas and green beans on hand at all times – veggies that are inexpensive and happen to be our favorites. Fresh greens are a staple and one of the most nourishing options to fill our plates. 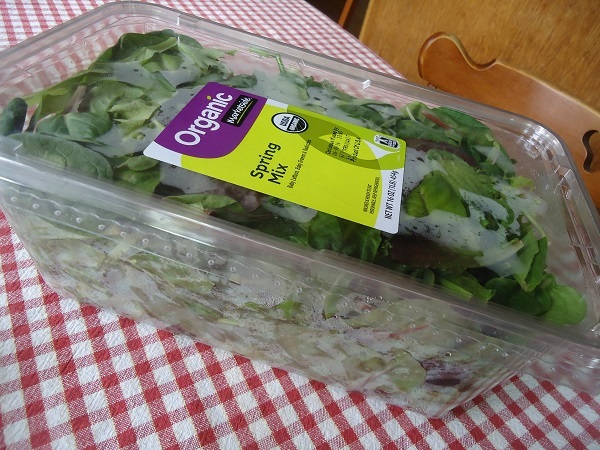 I pay $6 for a big one-pound container, which lasts our family one week. I’d say that’s a pretty great price for awesome nourishment, wouldn’t you? Fresh carrots are inexpensive year-round so we eat them often! I make homemade dips and dressings, which makes it easier to get the veggies down. 5. I buy in bulk. If you saw my storage room, you’d realize this was an understatement. I buy huge quantities of pretty much everything from meat to grains, which means I can buy when I find a sale, then use up our supply while I wait for another sale. I’ve saved thousands through the years shopping this way – and I love that I’ve also saved time and energy since I don’t have to run to the store for single ingredients very often. 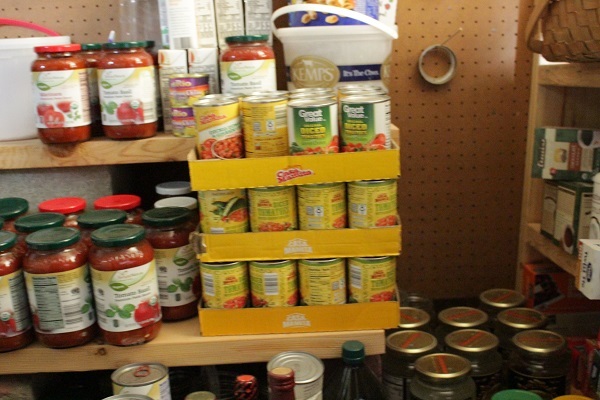 I just shop my food storage room! 6. We eat at home. 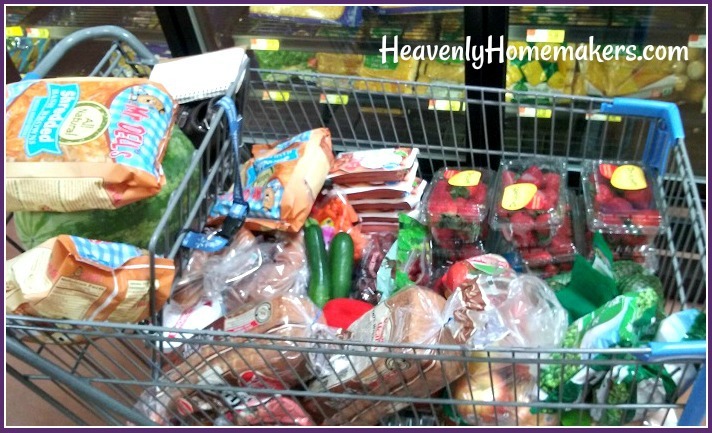 While this post is about saving money on groceries, it is important to mention that eating at home saves us a great deal of money compared to eating out. Restaurant bills – even fast food bills – are quite large for our family. So we save eating out for special times when we are on the road (though we almost always pack food for travel too!). 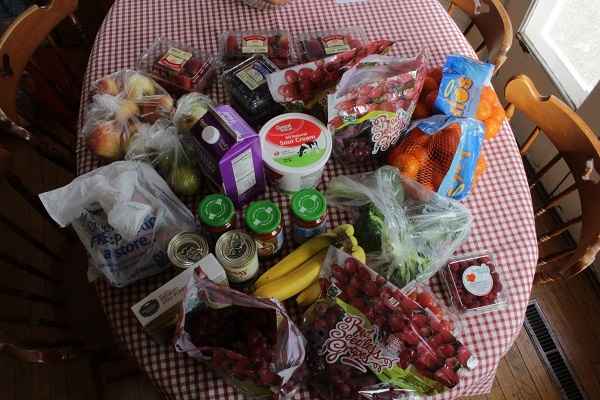 I wrote here about other ways our family saves money so we can afford a higher grocery bill. I bet you’ll find you save in many of these ways too! 7. We eat Simple Meals. Nothing fancy here. After all, my boys just want to eat. They don’t care if it looks good on Pinterest. I avoid recipes that take lots of steps to make and I use only simple ingredients, which we mix and match to put together hundreds of meals! I taught all my kids how to cook. I can’t say enough good about this. My boys have spent hours of time with me in the kitchen through the years. Now that they are older, they are all very capable and can make entire meals if needed. Generally, we all work together to put food on the table. This is great for bonding but logistically speaking, their efforts and ability mean I’m not overworked in an effort to keep them all fed! 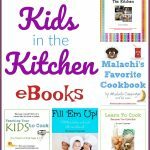 Learn more about how I taught my kids to cook here. And for just a few more days, take advantage of this great Kids in the Kitchen package offer! Yes, you’re right! We do still garden but not as much as we used to because of time restrictions. While it does save some money, and we appreciate every penny saved – the time it takes to grow the volume our family needs hasn’t been super time effective. But boy is that food good while it lasts! This is great advice Laura, thank you!